In this dynamic market of new technology, SSDs are becoming a necessity for everyone. Whenever we think about upgrading our gaming computer we tend to look for more speed. Nowadays finding the best budget SSD is crucial work. It is just because there are so many options available in the market to confuse us. Over the course of years, solid-state drives (SSD) have gone through exponential changes. They went under changes in shape, size and even storage capacity. Now if you are going to upgrade your PC the most noticeable change will be the presence of an SSD. Tech giants such as Samsung, Western Digital, Intel, and Toshiba are piling up their new models of SSDs every day. Over the years of changes, SSDs have come a long way, they have more capacity and increased performance and obviously less price than 5-years ago. But with all these new technologies one problem remained the same for us. 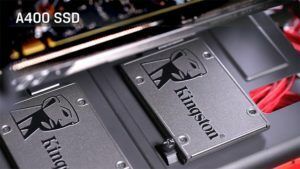 “Which is the best budget SSD to buy?” is a question that comes across our minds at least once. We have conducted our tests on at least 12 different SSD and concluded that Samsung 860 Evo 250GB is the best budget SSD among them. 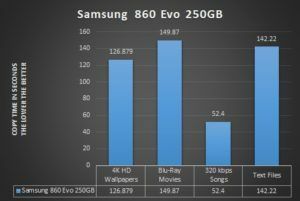 With its sheer power and premium-level performance, the Samsung 860 Evo breezed through our tests and came to the top. The price and performance combo of this fastest SSD is phenomenal. But truth be told every SSD on this list is worth your time. The difference between performances cannot be felt in real life scenarios. You will not regret your choice by going with any of these following budget SSD. Please note that we will be talking only about 2.5-inch SSDs in this post. We are going to create a separate post for M.2 and mSATA. For the testing of storage devices, we always follow the same pattern. 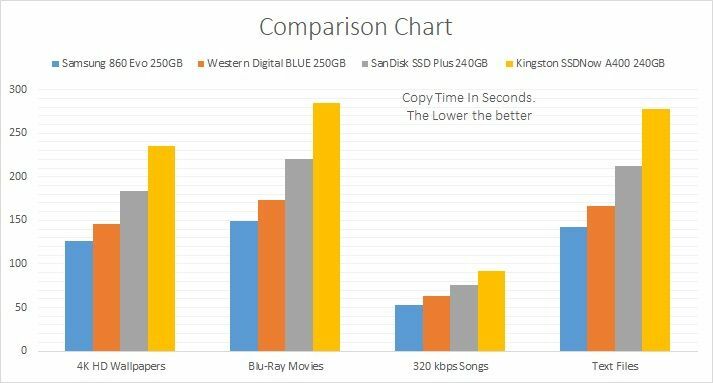 If you have read our past post regarding best budget external hard drive or best budget USB 3.0 Flash drive then you already know the pattern. If not I am going to explain the same here. We are making 4 sets of folders with various items and copying each one of them to the storage device. For each item, we are noting down the writing time and calculating the writing speed and reading speed. By comparing the writing and reading speed of each we are raking each SSD. The writing and reading speed is only one of the ranking factors. The ranking is based on other details such as durability, warranty additional features etc. In the 4 sets of folders, the first one is filled up with HD and 4k wallpapers sized 48GB in total. The 2nd folder consists of 60GB Blu-ray Blu-ray movies. The 3rd one is 20GB in size and filled with 320KBPS songs. And the last one is made with 3K text files sized 15GB. We are writing these files from Samsung 970 PRO M.2 NVME SSDs to our 2.5 inch SSD and then taking note of the timing. We are also noting the boot time and application times to be precise in performance. Benchmark scores were also taken into consideration. We also used UserBenchmark and Crystal Disk Mark to find out the SSD scores as a ranking factor. 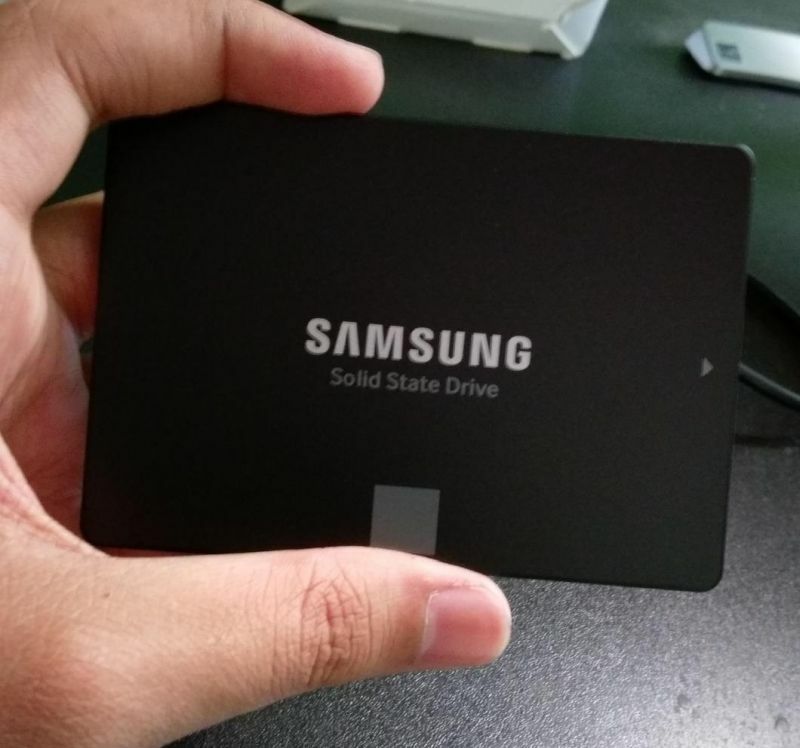 Samsung 860 Evo and Western Digital are the only SSD of this list which offers 250 GB of capacity. That is the main reason they are in the top 2. The rest are entries offering 240 GB of storage space. In terms of performance and durability, 860 Evo is a clear winner. It comes in 3 variants 2.5 inches, MSATA and M.2, and all are having phenomenal performance and capacity. Every variation of Evo 860 comes with an inbuilt data encryption capability which is a great thing. During our test sessions, we conducted some external durability tests also by dropping this SSD and manhandling it. But to our surprise 860 EVO never pleaded. It continued to show off a great performance the same as it was before. Even again to surprise us, we tested the power consumption of each and every drive. 860 Evo power consumption is less than any other entry on this list but it is very marginal. In simpler words, you will not be able to find a better choice of SSD in this price range. The Samsung 860 EVO 250GB feels quite premium in touch. The aluminum body has chipped corners and is well painted. But the same thing we found in most of the entries. Since we are talking about internal SSDs only the build quality doesn’t really matter. But in the case of Solid State Drive endurance matters. The endurance of the SSD defines how long or how much data your SSD will work flawlessly. Crossing that limit your SSD will start to wear out. You might now think then why should we go for an SSD instead of an old-fashioned HDD? The simple answer to that is speed. 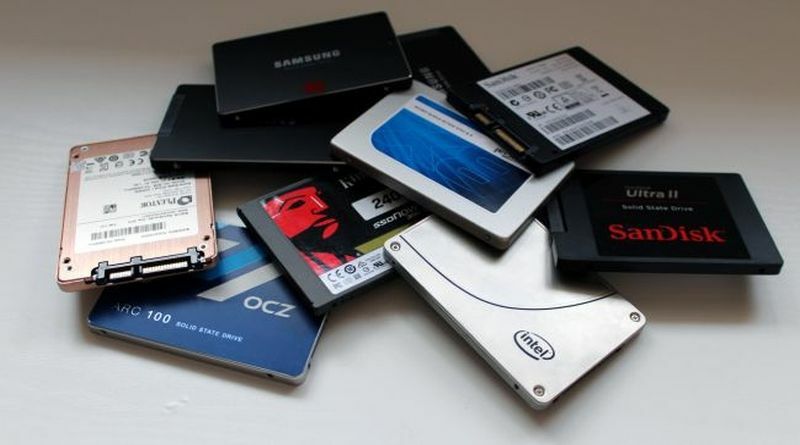 SSDs are mainly based on NAND flash chips, unlike our traditional hard drives. 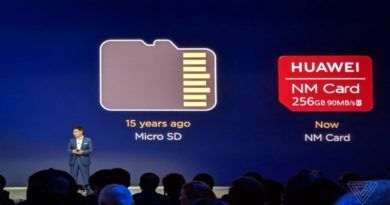 NAND flash chips are having shorter lifespan than optical disks, but they are much faster in performance. As per expert says, approximately 3,000 and 100,000 times data can be written on a storage cell inside the flash chips between during its lifetime. An SSD is at least 100 times faster than a traditional HDD. And even after the endurance level, your SSD will work just fine. The endurance of Samsung 860 EVO is 150 TBW. It is quite high for an SSD at this price point. Since we are talking about budget SSDs this endurance rating is decent. We have been using 860 EVO for 1 year now and we crossed even 250 TBW long back. Until now we found no problem with our SSD. This is where 860 EVO really shines. The reading and writing speed is really great for this SSD. 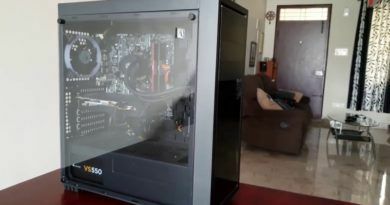 We used 970 PRO M.2 NVME SSDs to test our budget SSDs. By surprising us even more 860 EVO has reached 432 MB/S writing speed and nearly 480 MB/S reading speed. 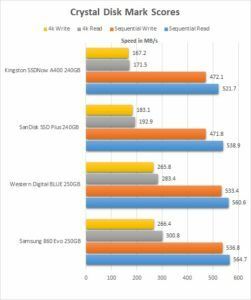 While it’s close competitor WD Blue SSD was only able to reach 350 writing speed. The difference in speed was clear proof for the crown. The 860 EVO is the fastest in most budget SSDs present in the market. Even the sequential speed we were able to reach was 380 easily. As for our test case data, the above graph will show how much speed we obtained during testing of each of our scenarios. 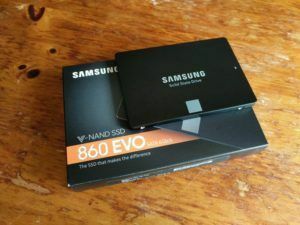 The Samsung 860 EVO comes with Samsung 3D V-Nand flash memory technology. This is what makes this SSD cheap and high in demand. Instead of horizontally placing memory chips, they are placed vertically on top of each other. Placing 32 cell layers vertically drastically cuts down the space requirement as well as making the drive denser. 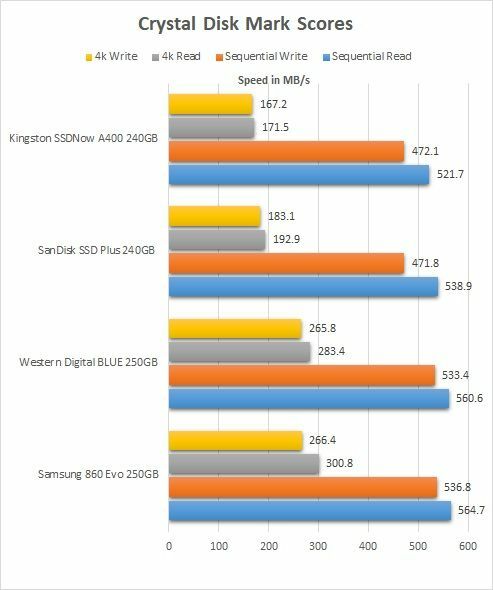 Which in terms provides better performance and quality to the SSD. The one-step installation navigator made by Samsung also helps users move their data faster. You can easily move your data from your old SSD if you are upgrading. This feature actually is very helpful if you are upgrading your SSD and do not want to wait. Some additional features like sleep mode, auto garbage collection, trim support, and AES 256-bit Encryption are mentionable. The warranty option is where the Samsung 860 EVO lags a little behind our 2nd pick. Samsung is providing 5-year warranty or 150 TBW whichever is lower for the following device. We were not able to test their customer support ourselves as we didn’t face any use even after 2 years of heavy usage. So we trusted Amazon verified purchase buyers and interviewed them. Whoever visited the Samsung customer care or had any defect got their issue resolved. According to multiple buyers, Samsung customer service was very helpful and professional. So do not expect that they will bend any customer policy for the sake of any one buyer. SSD endurance is measured by DWPD (Data Written Per Day) for the period of warranty (3-5 years) and Terabytes Written (TBW). In simple words, if an SSD has 2 DWPD then 200 GB data should be written per day into the SSD. Or an SSD having 150 TBW means it will work flawlessly till 150 TB is written to the disk. After that, it may fail. But it does not necessarily mean that your SSD will fail after 150 TB. Studies show an SSD will survive far more than it’s lifespan given by the manufacturers. Ontrack’s How Long Do SSDs Really Last? showed the same. "Samsung’s unique and innovative 3D V-Nand flash memory architecture is a breakthrough in overcoming the density limitations, performance and endurance of today’s conventional planar Nand architecture." **Please note price mentioned here might change according to offers and discounts. While we chose Samsung 860 EVO for great performance and speed. 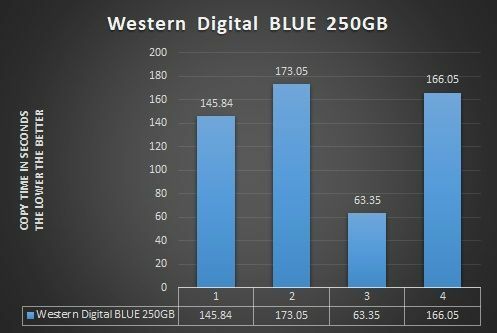 The WD 250GB BLUE SSD was made to the 2nd place with little to no effort at all. With the best TBW and great customer service, this beast from western digital owned our tests. If you are not a fan of Samsung or it is out of stock to choose our second best budget pick without a second thought. The WD 250GB Blue SSD comes in 2 variants, the 2.5-inch drive, and M.2. Both of them are great in performance and well deserved to get into your rig. The price point is similar to our best pick so you are not going to save much. WD BLUE is built with a light aluminum body. The SSD is quite lightweight compared to 860 EVO and sturdy. You can easily install it in your 2.5 driver bay or just set it up behind your motherboard. If you are able to install it into your laptop you will not face any problem if it supports 2.5inch. The physical dimension of the product is 10x7x0.7 cm (LxWxB) and weighs around 36 grams. 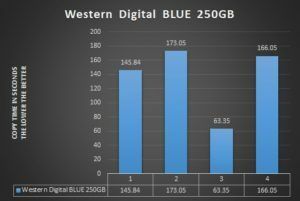 Western Digital boasted their BLUE SSD endurance to be 400 TBW. And the funny thing they are saying is the truth in every manner. 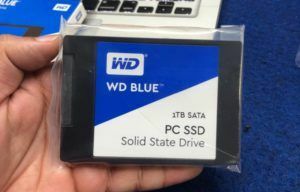 We have been using the Blue-SSD for quite a long time and TBW went up to 5 times the endurance. Still, there are no issues or flaws detected. As we said before the manufacturer’s given TBW is the least endurance. Real-life endurance is far more than what is printed on the box. We performed a similar test on this SSD and noted down the timing also. The results we found were very satisfying in comparison. But at one point we were also a bit disappointed because of the speed gap from our best pick. The average reading speed we were able to get was 460 MB/s and 370 MB/s writing. **Please note one thing carefully we are mentioning all the speeds in MB/s i.e. MegaByte per Second, not MegaBit Per Second. The sequential writing speed was near 465 MB/s and the reading speed was nearly 470 MB/s. We have also observed boot time of only 18 seconds on average. 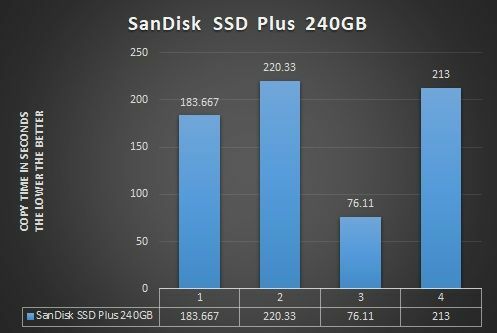 WD 250GB SSD Blue is made based on 3D NAND architecture which is the same as V-NAND. 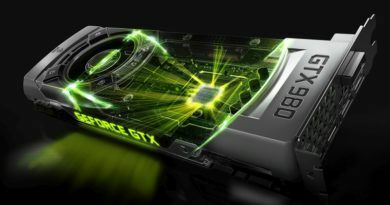 Every other manufacturer is using 3D NAND technology in the market now. Every manufacturer has a different technique of implementing the 3D NAND so there is no simple method. But the main thing in common is the layered architecture. SSD blue also comes with WD SSD Dashboard. 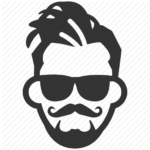 A simple tool that keeps track of your SSD health, capacity, firmware version etc. Acronis® True Image™ WD Edition software is also available for free download. This software can back up your entire OS, applications, clone drives and is having a fluid setup. Having these utilities in your arsenal you will have a better track of everything available. One thing to note here is that the WD Blue SSD doesn’t support a hardware level encryption. It would be great to see some data security built in. This SSD comes with a whopping 5 years warranty. No strings attached, no hidden fees you will get 5 years warranty if there is any defect with your SSD. Unlike 860 EVO there is no TBW limit to the warranty. You can use as much as you like, and if anything goes south you can simply claim the warranty. Some sellers might be selling old packaged SSDs where the warranty is printed 3 Years only. Do not panic or return if you’ve got that packaging. Simply head to the WD Product Registration and register your hard drive on their system. You will receive the full 5 years of warranty. We have visited WD customer service center many times in the past few years. We always receive great service from their side. None of our issues went unhandled or delayed for any kind of reason. The service was fast and in most cases we got the faulty devices replaced altogether. We can assure you that there will not be any kind of problem with their customer service for warranty claims. 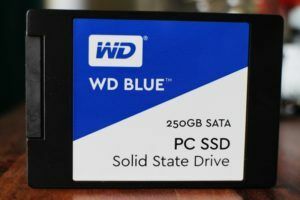 "The WD Blue 3D NAND SATA SSD utilizes 3D NAND technology for capacities up to 2TB with enhanced reliability." Say both of our top 2 picks are out of stock or you have good trust upon SanDisk. 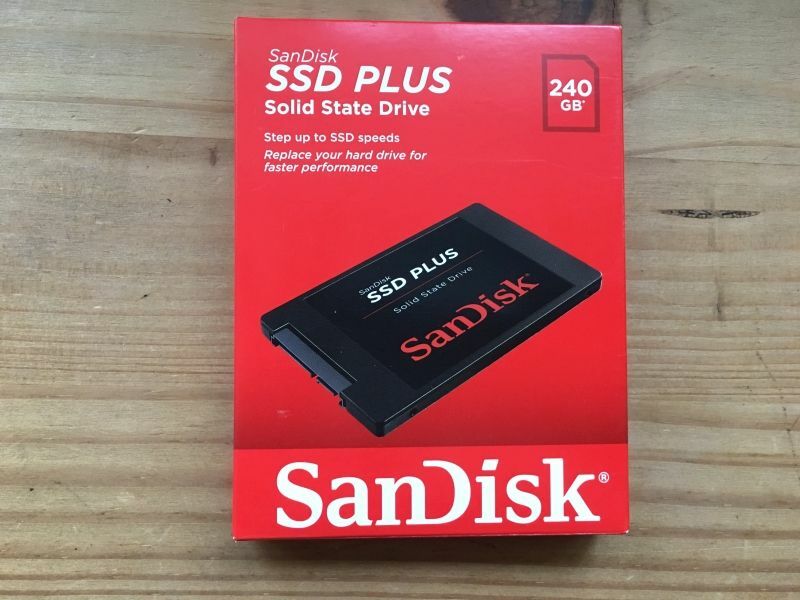 Then we recommend that you go with SanDisk SSD Plus 240GB without a doubt. SanDisk provides great USB flash drives, SD cards, and hard disks for a long time now. And they have gained a huge amount of reputation in the market. 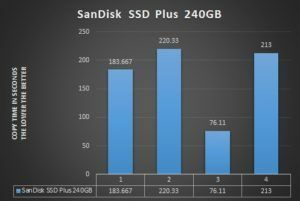 SSD Plus 240GB is another great addition by SanDisk. 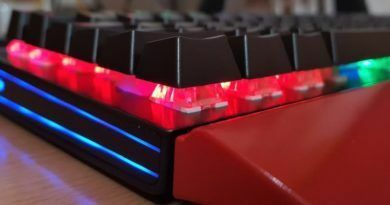 It showed great performance and also worked well with our laptops. The performance boost we received was quite impressive in every term. The downside is that it comes with 240GB variant, not 250GB. 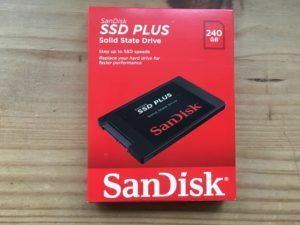 SanDisk SSD Plus 240GB is another great looking SSD. You can see it in the pictures as well as how it looks. The jet black color with burning red writing gives it a premium look. The SSD body is a bit off because the quality of aluminum is not as per is what we feel. But as mentioned earlier, that doesn’t matter at all when you are buying an internal SSD. For fun, we also took some drop tests on this device. It survived 5-6 feet drops, not sweat. SanDisk also boasts that this device has a resistance of up to 1500G. The SSD itself is 2.75 x 3.96 x 0.28 in (LxWXB) in dimension which is quite good. The endurance of the device is not mentioned on the device page or on Amazon. Which is quite disappointing for buyers. They only officially mentioned that the endurance of this SSD is MTBF: 1.75 million hours. By calculating this we get a value of 200 years (199.77 to be precise). I mean seriously your SSD can’t fail for 200 years? That might create too much confusion among buyers. We tried to talk about the TBW SanDisk with no luck. There is no way we could even test that endurance since we bought a new SSD. So if you are going to go with this product, keep note that you will not receive an estimated TBW anywhere. SSD Plus also performed very well during all the transfer testing. At least we can say we got the product that we paid for. The average speed we were able to achieve was 288 MB/s and 440 MB/S in writing and reading respectively. Again, you will be able to see the difference in speed against our top picks is quite noticeable. Depending on the speed, we have chosen it for the 3rd best budget SSD. But quite surprisingly the 4k reading and writing speed was quite high for this drive. We never expected it to be as high as WD Blue but still, it was high enough. We only recommend this SSD if you are tight on a budget, otherwise, choose another 2 SDD from the top. **Please note the 4k writing speed defines how fast your SSD can read and write small files. The 4K test consists of 4KB text files up to the test limit. We used CrystalDiskMark as a benchmark. 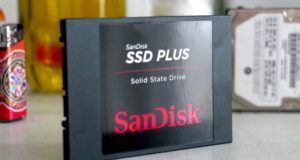 With SanDisk SSD plus you will receive a tool called SanDisk SSD Dashboard. This tool works similarly to WD SSD Dashboard. It will track your SSD space, health, performance, and remaining life. Additionally, with this software, you will get options to update your firmware and perform encryptions. There is no hardware-level data encryption provided with this SSD. But using this dashboard tool you can easily encrypt your desired data. You will also get options like securely deleting your data, crypto-erase will destroy your encrypted data, sanitize your SSD. This tool is simple yet very powerful. Managing your SSD will be very easy using this tool. One negative point we would like to add that SSD plus produce more heat. The Heat’s signature is more than our previous two picks but cannot be felt normally. You will not be able to find the difference simply by touching the SSD. Because of this extra heat, power consumption also increases slightly as well. We tested this scenario many times and verified that there is at least 6% more power consumption than the competitors. With this SSD you will be getting 3 years of warranty from SanDisk. 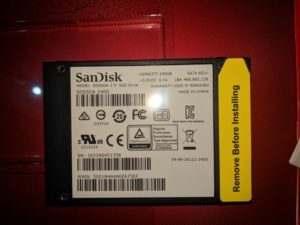 As good as SanDisk’s customer support is, the less time of warranty isn’t good enough. With this much more aggressive market and with these many manufacturers we expect similar commitments. As a customer having 5 years of warranty feels secure, which is what most of the other competitors are providing. But we cannot complain about SanDisk customer service. They do care for their customers and really do a good job stratifying them. 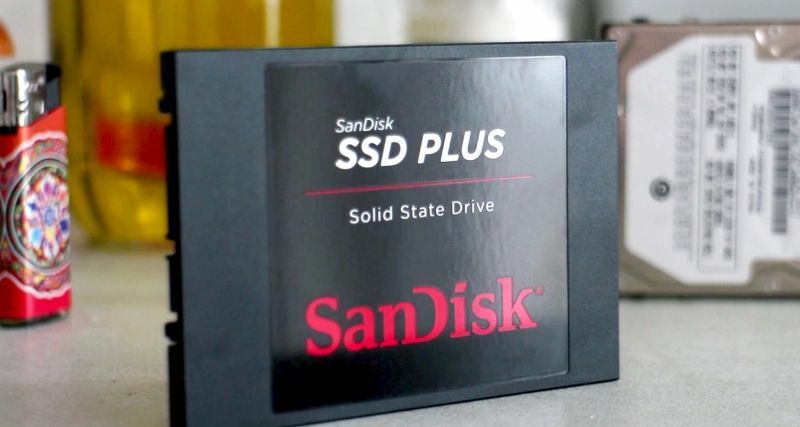 "anDisk, a pioneer in solid state storage technologies and the brand pros trust, delivers improved speed and performance with the SanDisk SSD Plus." 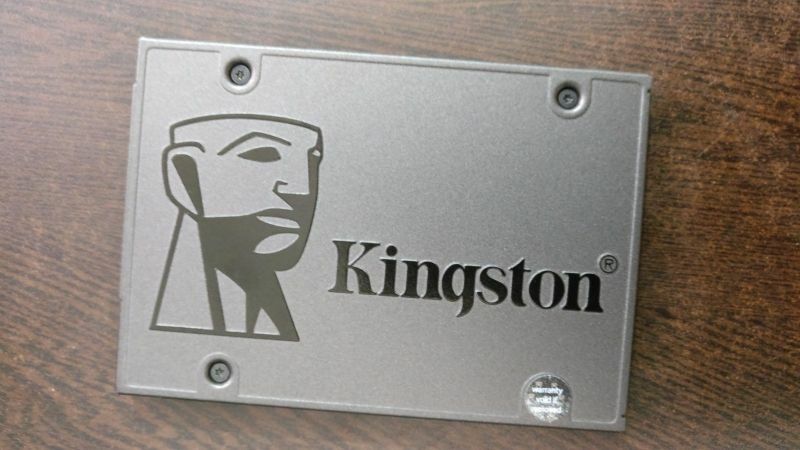 The cheapest pick of our list is Kingston SSDNow 240GB. If you want to check what SSDs are like and want to save your bucks, this is what you are after. The price is like 30% cheaper than our best pick and also the speed is not 30% less as well :P. So you can get this SSD only if you want to go with the cheapest. Obviously, you will get what you are paying for, so do not expect similar performances with other entries. SSDNow A400 comes with hard aluminum built with gray and black spray paint jobs. The quality of the aluminum sheet is good. The casing is hard and you will feel the weight when you are holding it. While setting it up in a tool-less drive case it set up with ease. But when we used the screws it was a bit hard. The screw-cut holes were not proper and the corners were sharp. This is something Kingston should take care of. We thought it might be a problem with our SSD only. So we went for a second piece and found the same problem. The dimensions of the product are 100.0mm x 69.9mm x 7.0mm (LXWXB). The drive is only 40.8 grams in weight. The endurance limit of the SSD is only 80 TBW. So within the warranty limit, Kingston will only provide warranty until 80TB is written to the disk. After that, you are on your own. 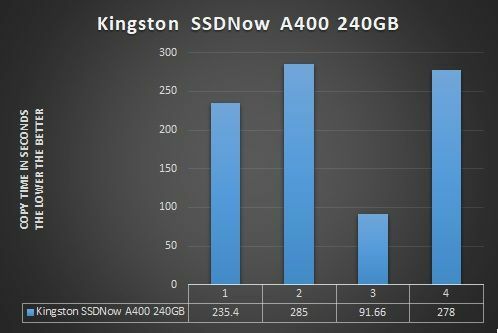 Kingston SSDNow A400 provides a mediocre performance for users. During the test, we were able to achieve 221 MB/S writing speed and nearly about 390 MB/S reading speed. This is actually not bad for the price. With this price segment, it is very hard to compete with this item. The speeds mentioned are the average test results we have achieved using Crystal Disk Mark. You might find some other users posting other speeds on a different website. It might confuse you. So to be sure, let me clear it up. We are testing using our Samsung 970 PRO M.2 drive, not a generic hard disk. M.2 devices have faster speed than 2.5-inch drives and hence our speeds might seem a little faster. This is due to 1-way bottlenecking. When you are trying to copy some files from your HDD to SSD, the writing speed will be less. Because the HDD itself is slow so, whether you are copying to or from an HDD it will be slow. Your hard disk drive or external hard drive will bottleneck the speed of transfer. The SSD has nothing to do with it, it can’t reach full speed because of the hard disk. On the other hand, M.2 is faster than 2.5 inch SSD. In this case, the SSD is bottlenecking the M.2. That means the SSD is able to achieve its highest speed but the M.2 cant. So it is the best way to test a 2.5 inch SSD. In addition, there is nothing much to mention. The SSD does come with a small tool for the SSD Manager. This small tool is similar to WD/SanDisk SSD Dashboard. It helps track capacity, life and performance, used to upgrade firmware and similar things like that. During our testing, this drive also made a little bit of a heating issue. Similarly, to SanDisk, it is also negligible with a naked touch. But the heating issue increased the power consumption a little. Kingston is providing 3 years of limited warranty with this SSD. Which would be great if the TBW of the SSD could increase. Kingston is currently accepting 80 TBW as the warranty limit. It is even less than Samsung and the warranty is also 3 years only. This I think will not suffice for the peace of mind of every user. Although Kingston always provides good support to the customers. You will not find any trouble getting through their service to get your device replaced. If any problem occurs, simply call them or mail them to receive further instruction. The customer service people are quite professional and helpful in every manner. 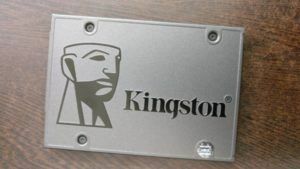 "Kingston's A400 solid-state drive dramatically improves the responsiveness of your existing system with incredible boot, loading and transfer times compared to mechanical hard drives." Crucial MX500 250GB 2.5-inch SSD: This SSD is one of the best one in the market according to thewirecutter. We have also conducted our test on this one and was quite satisfied. The only reason we couldn’t put this one in the top 3 as the customer service is not quite good in India. Crucial MX500 is cheaper than our best pick and a bit slower also. 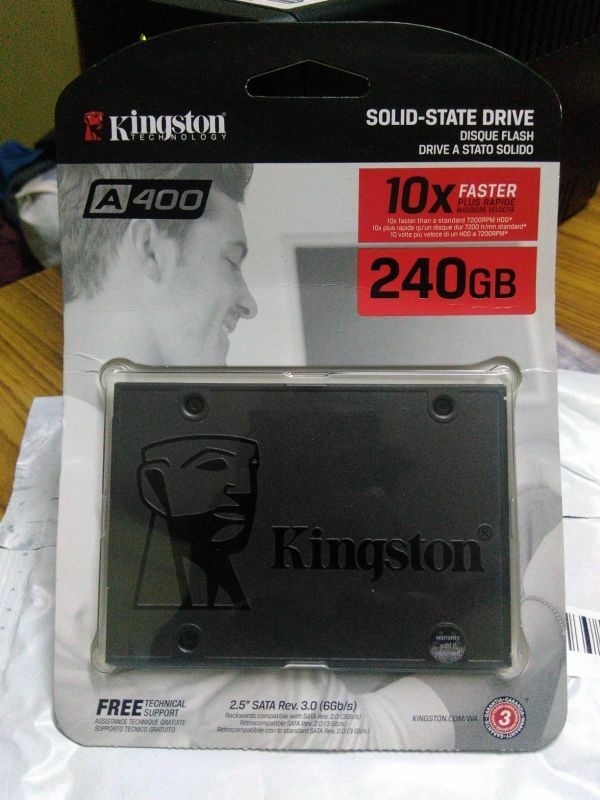 But we can easily choose MX500 over WD SSD if you live outside India. According to Billy Tallis of Anand Tech Crucial MX500 was the top SSD in 2017. In a review, Tallis again said that the 500GB version of MX500 is slower than 1TB. But it is not a deal breaker. The Crucial MX500 comes with a limited 5 years warranty or 180 TBW. HP S700 250GB Internal SSD (SSD-S700-2.5): HP SSD S700 series delivers compact storage and optimized performance for traditional and innovative small-form-factor and embedded platforms. The case 2.5-inch SSD design has a significantly smaller footprint than a 2.5-inch hard disk drive (HDD) and enables fast read/write access times and a significant I/O and throughput performance improvement as compared to HDDs. Western Digital 240GB Internal SSD (Green): The WD SSD green is another great addition to Western Digital. WD green hard disks always tend to draw less power. They tend to be slower compared to their blue counterparts. WD 240GB Green SSD is a perfect addition to your laptop.